The Oscar Howe Tiospaye an exceptional collection of art and artists influenced by Oscar Howe. See iconic, original works by Herman Red Elk, Arthur Amiotte, Robert Penn and Donald Montileaux. Don’t miss this rare opportunity to experience and understand Oscar Howe’s impact on the artists who came after him. 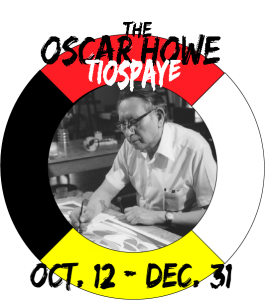 "The Oscar Howe Tiospaye" is part of the 2018 Showcase Series at The Journey Museum & Learning Center sponsored by KNBN - NewsCenter1.